Know an older person who would appreciate a weekly home cooked meal? Know an older person who would appreciate a weekly home cooked meal and some company? If you know an elderly person (55+ years) who could benefit from a home cooked meal and some company once a week then please complete this short referral form. If you would prefer to refer on the phone please call us on 0800 783 7770. Press here to refer someone now. How does the meal share work? Our Cooks would arrange a date and time with the Diner to arrange their weekly meal share. Then they would plate up an extra portion of the meal they’re making that night and deliver it to the Diner to share. What happens if I refer someone and you don’t have a Cook in the area? We would contact you and notify you of this and add the Diner to a Waiting List . 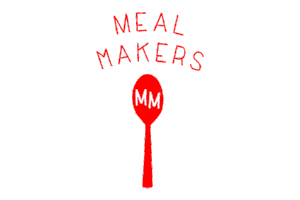 Once a suitable Cook becomes available we’ll contact them and arrange their first meal share. We charge a £5 per year membership fee which allows an unlimited amount of meal shares. Can I refer someone over the phone? This entry was posted in News and Events and tagged Meal Makers. Bookmark the permalink.